Our first number for the week, 0800222378 has been occupying New Zealand consumers for quite a while now, reappearing on our list all throughout the year ever since its first entry in January. 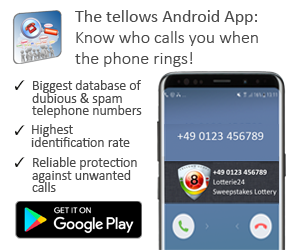 Most of our users have received a message by an unknown originator asking them to call the number back without further information as to why. 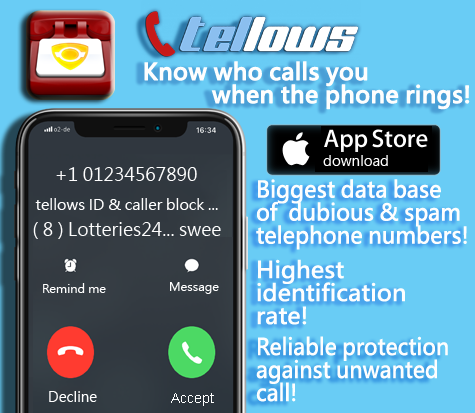 Even though the third number, 044630500, is rated with a tellows score of 6 and has been reported for quite some time, information are still scarce. Most users have complained about frequent and often silent calls from this number. We hope you have a nice telephone scam and spam-free weekend! – And if you don’t, you know what to do and who to share your information with. This entry was posted in Weekly Top 3 Spam and tagged annoying, Australia, New Zealand, nuisance calls, phone number, silent calls, spam, statistics, Tellows, Tellows score, weekly update on Friday September 13th, 2013 by Luise.